The EU and Great Britain agreed on a new delay for Brexit – to October 31, as Reuters reported. “27 EU member states and Great Britain a flexible delay to October 31. This means that Great Britain has six more month to find a better solution,” the message says. On April 9, the British Parliament voted for Theresa May’s plan on Brexit delay to June 30 before the PM was heading to Brussels. Besides, Theresa May is conducting negotiations on Brexit with the French President Macron. He was against a delay for one year. 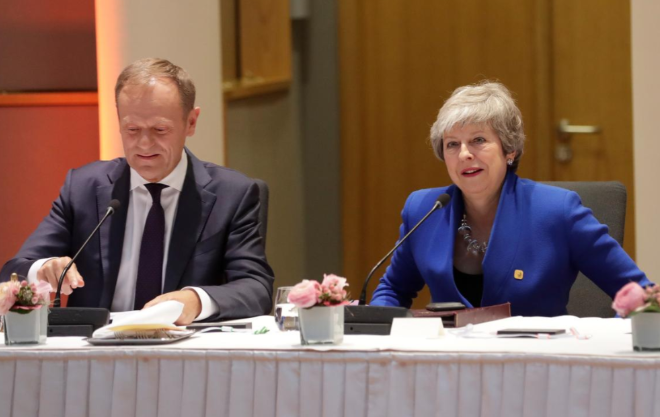 Theresa May previously met with German Chancellor Angela Merkel in Berlin; the German leader said that the delay is possible, and it could last until late 2019 or early 2020. On March 14, the House of Commons of the UK Parliament did not approve a repeated referendum on the issue of the country's withdrawal from the EU.